Worship the ruling deities Kartikeya and Hanuman. The Kartikeya mantra: "Om Saravanabhavaya Namah" The Hanuman mantra: "Om Ham Hanumate Namah"
Mars is considered as a malefic planet in Astrology. It completes its sojourn from one sign to another sign in almost 45 days. It bestows the native with energy, enthusiasm, ability to perform tasks, power, strength and courage as per Vedic Astrology. But, on the other hand, when Mars acts like a functional malefic planet, it gives blood related irregularities, accidents, hurdles in marriage and married life and troubles to progeny, etc. It signifies brothers, bile, endurance, physical strength, litigation, copper metal, warriors, red colour, blood, southern direction, military, police, armed forces, surgeons, fireplaces, engineers, corals, chemists, scars, wounds, earthquakes, butchers, etc. When it is strongly placed in a chart, it brings positive changes and betterment in one’s life. However; if it is weak or badly placed, it destroys overall happiness. In this article, we would like to make you understand how you can get good results from this planet by performing Mars Remedies and enjoy good outcomes in life. Effects of Mars possess differentiate as per various houses of the birth chart. 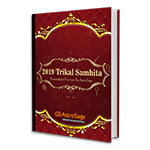 When Mars is placed in the Ascendant, fourth, seventh, eighth and twelfth houses, it creates Manglik or Kuja Dosha, and troubles in marriage and married life. However, when it is placed in the third, sixth, tenth and eleventh houses of a Birth Chart, it is mostly considered as the best placement that bestows benefic results. For people having Cancer and Leo ascendant, it becomes Yogakaraka Planet being the lord of Angular and Triangle houses. It thus, brings rise and success in their life as well as give them boon during its major, minor or sub-sub period. Mars also provides a native with landed property, and if a person have strong Mars, she/he excels in the field of Real Estate and building construction. As Mars is a significator of energy, power, leadership, valour; it should be well placed and must be strong in the birth chart. Major effect of any planet can be seen during its effective periods and so the effect of Mars can mostly be seen during Mars Mahadasha, Antardasha, Pratyantar Dasha and Mars Transit. During these periods, a person might be short tempered, initiative taker and shows leadership abilities. Person having strong mars looks quite manly and younger than their age and might have some reddishness on their face. Here, we are trying to tell you the simple and best remedies, so that you should know how to make Mars stronger, may perform them with ease and bring positive changes in your life. Remedial measures always help you overcome most of your worries and issues pertaining to different walks of your life. You should wear Red and Copper shade colors in routine. You should pay respect towards your motherland and armed forces, and always maintain cordial relationships with your brothers, brother in-laws and friends. You should not borrow money on Tuesday as it will not be easily repaid. Prayer is the best way to connect your soul with the almighty. Prayer is like a request to heal you, to keep your morale high and give you strength to overcome all the challenges that you are facing in your life. If you pray, it gives you hope and power to fulfill your deeds with sincerity. There is a specific deity related to each planet hence, you can pray to a specific deity or planet in order to appease them to give you boon. To attain blessings of Planet Mars, you should worship Lord Hanuman or Lord Kartikeya. You may recite Hanuman Chalisa, Bajrang Baan or may recite Sunderkand for good results. Apart from that, you may also worship Lord Narsimha Avatar of Lord Mahavishnu. Fasting is a way to devote yourself fully to the almighty and it purifies your internal as well as external body. Fasting gives you willpower that would be helpful in many ways. It is also a way to please planets. If you wish to keep yourself fit and appease planets, you may go for the fastings on specific days for a particular planet. If you wish to appease Mars, you should keep fasting on Tuesdays. According to Vedic Astrology, Daan (donation) is the best way to get rid of malefic effects of a planet as well as it gives you a chance to do some good deeds to remove your sins. It should be done with full faith and devotion and without any expectation in return. Daan should be given to a Supatra (a good and suitable person). In Vedic Astrology, the planets which are good for you, you should give them power; and the planets that are giving you suffering, you should perform donation for that specific planet, so as to make its effect weak. Red Lentil, Khaand, Saunf, Coral, Wheat, Red Kaner Flower, Copper vessel, Jaggery, etc. Mantras have great significance in Vedic Astrology since ancient times. Every mantra creates specific vibration and energizes a person with the powerful energy of the deity related to that specific planet. Chanting of Mangal Mantra is a good and easy way to appease your planet, however; a correct pronunciation is a must. Apart from that to reach ultimate state, you should chant the mantra in specified number. Aum Kram Kreem Kroum Sah Bhaumaya Namah ! You should chant this mantra for 10,000 times. As per Desh-Kaal-Patra Siddhanta, the same should be chant 4 times of 10,000 in Kalyuga, so you should chant Mars Beej Mantra for 40,000 times. Yantras are symmetrical diagrams and they can be used to supplement the efficacy of mantras and are very helpful in situations, when mantra cannot be recited, or where the presence of the deity in the form of a symbol is essential, or in situations where a native can not bear the cost of gemstones. Yantras generally are drawn on Bhojpatra (parchment) and worn as a talisman on the body. If it is not possible for you to make it, the same can be engraved on an amulet or pendant. There are Nine planets and every planet has its own specific yantra. These Yantras are collectively called Navgrah yantra. To get auspicious results of Mars, you should wear Mars Yantra. It should be worn during Tuesday, in Mars’ Hora and in Mars Nakshatras. Roots (Jadi) of plants are very auspicious and useful to balance planetary influences in our life. If you wear root of a specific plant, according to Vedic Astrology, it would never give you any bad effect; rather it will improve the positive effect of that specific planet and dilute planetary malefices. To gain blessings of planet Mars, you should wear Anantmool on Tuesday during Mars Hora and Mars Nakshatra. Rudraksha means teardrops of Lord Shiva. It is highly powerful and used for spiritual upliftment. 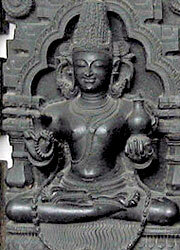 It provides the native with prosperity, peace, good health, and helps in overcoming challenges from all walks of life. When you wear it, it increases your wit and blesses you with the divine grace of Lord Shiva. Every Planet has different attributes hence, for each planet, there is different Rudraksha. Aum Rem Hoom Hrim Hoom! Aum Room Moom Yoom Om! Aum Rum Mum Yum Aum! Our divine earth have natural sources of minerals. These minerals and crystals have mysterious powers, healing qualities and spiritual meanings. These are commonly known as Gemstones or Birthstones and can either be precious or semi-precious. Gemstones are being used since ancient times by many kings and royal people. Every planet combined with a specific gemstone helps in balancing the effect of that planet upon us. For planet Mars, you should wear Red Coral in your ring finger on Tuesday during daylight, in mars Hora or Mars Nakshatra and in the brighter fortnight of the Lunar Month. Feed Gram and Jaggery to monkeys. Plant Pomegranate tree on Tuesday and worship it. Offer bananas or sweet betel leaf to God Hanuman. We do hope that this article about Mars Remedies would help you in various ways. By performing above-mentioned remedies, you would feel calm and relax, and would achieve success in all walks of life.